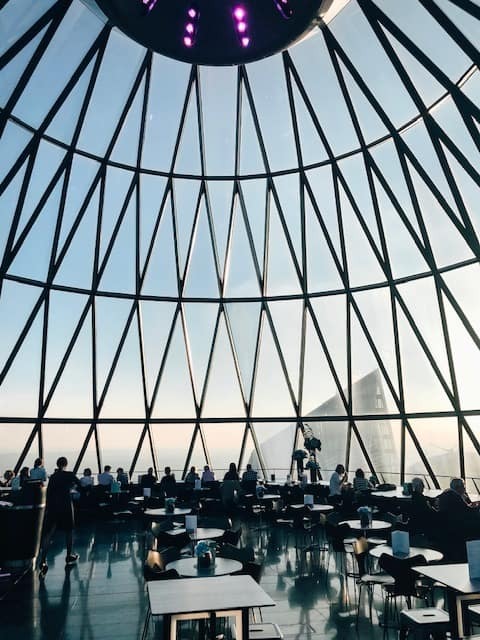 The Gherkin (or 30 St Mary Axe) has been an icon in London since 2004. With its unique shape and thousands of metres of glass, it tends to catch everyone’s eye! 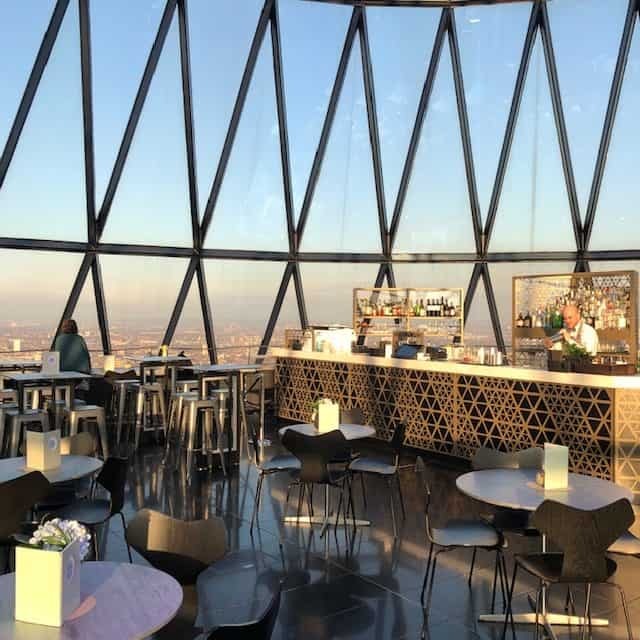 Lucky for us the restaurant and bar at the top of The Gherkin are finally open to the public! 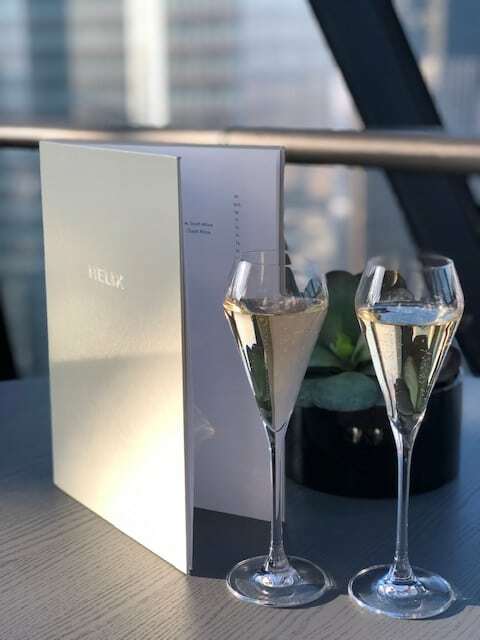 Helix restaurant is situated on the 39th floor of the building with Iris bar just up the spiral staircase offering panoramic views of London. We visited Helix restaurant for a four course brunch and a glass of champagne for £45. 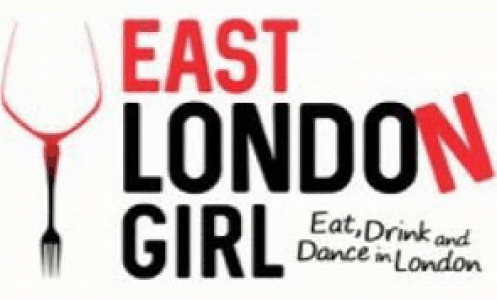 Given the amount of food and the exquisite surroundings, we thought it was pretty good value! 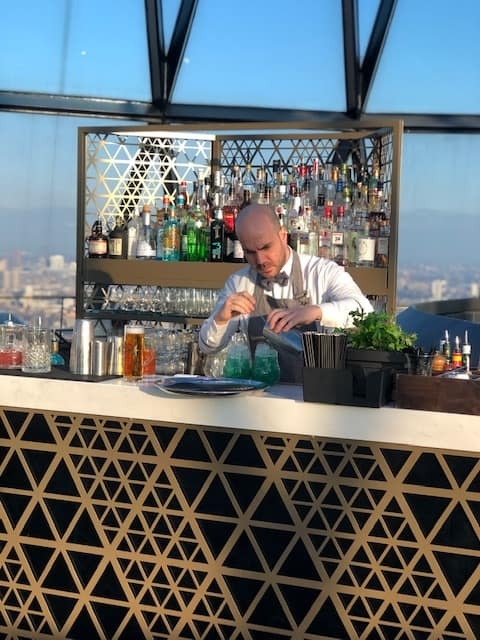 However, if you do not fancy dining at The Gherkin, Iris bar is a great shout for a drink or two high up in the clouds. The prices are very reasonable for such an grand establishment – a medium glass of wine (175ml) starts from only £7.40. Cocktails start from £12.50 and look absolutely stunning. I have no problem paying more for a cocktail when passion and thought has gone into making it. We highly recommend making a reservation for drinks at this gorgeous bar with tables by the windows, actual space (yes it is not that common) to stand and friendly staff.